Have your child's school dental forms completed before school starts! No appointments necessary. Just walk in! Click the button to the right to see what News NY1 had to say about Urgent Care Dental! In pain and need care right away, come to Urgent Care Dental. Urgent Care is available nights and weekends to ease your toothache and treat the issue. For injury and immediate care come right in. Whether a laceration or a lost tooth Urgent Care can help right away. We will repair or replace your crown to bring back your healthy smile. immediate relief you are looking for. At Urgent Care Dental, we understand how disruptive and traumatic tooth pain can be. We offer emergency dental care that can help you get the immediate relief you are looking for! * If you are experiencing significant bleeding, or a loss of consciousness, your condition may be life threatening and you should call 911. Only place open on a Saturday. Nice people. Good work. I was very thankful this office was open on a Friday night. The pain I was having was intolerable. The staff is very friendly and helpful. Urgent Care Dental is staffed by Board Certified Dentists and a professional team equipped to provide you with excellent care. As we all know, emergencies never happen when it’s “convenient”. With this in mind, Urgent Care Dental is available after hours and on weekends to provide care, comfort and convenience to our patients. 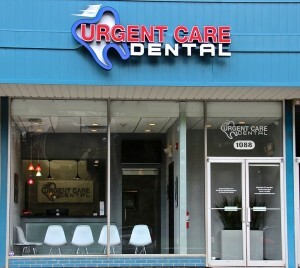 Urgent Care Dental specializes in treating dental emergencies and treating pain exclusively. Urgent Care Dental is not a substitute for a regular dentist or dental office.